Green Bronx Machine is an impact driven, for-purpose organization with 501(c)(3) status rooted in the belief that we are all Amer-I-Cans! Green Bronx Machine was born via collaboration between life-long educator Stephen Ritz and his students who observed that as waistlines expanded, engagement and opportunities in school decreased, school performance suffered, and hope and ambition became minimized. Originally an after-school, alternative program for high school students, Green Bronx Machine has evolved into K-12+ model fully integrated into core curriculum. Our students grow, eat and love their vegetables en route to spectacular academic performance. 30,000 pounds of Bronx vegetables later, our favorite crops include healthy students, high performing schools, graduates, registered voters, living wage jobs and members of the middle class. Our work, vision and mission are as organic and locally grown as it gets – straight from our classroom to our community.Residing in the South Bronx, our work and our impact have been celebrated and documented locally, nationally and internationally. To date, we’ve been recognized as a Citywide School of Excellence by NYC Strategic Alliance for Health, cited as one of five national exemplars of Service Learning by the National Association of Secondary School Principals and named Best of Green Schools 2014 by the US Green Building Council/Center for Green Schools. Our students have presented nationally and have traveled from our local green house to the White House, always ready, willing and able to export our grit, talent, and diversity. Along the way some of our critical benchmarks have included moving targeted daily attendance rates from 40% to 93%, 100% passing rates on New York State Examinations, and partnering towards 2,200 youth jobs.Green Bronx Machine is now entering a new stage as it transforms an underutilized library in a 100+ year-old school building into the National Health, Wellness, and Biodiversity Center at Public School 55 in the heart of the largest tract of public housing in the South Bronx. This community has some of New York State’s highest per capita rates of childhood obesity, diabetes, heart disease, chronic unemployment and underemployment, food insecurity and food stamp recipients. Here, 99% of students qualify for free and reduced lunch while the 99-cent menu stalks them at every corner. Home to the largest Pre-K Program in the entire Community School District and recently designated a Whole Community School by the NYC Department of Education, our potential for transformational impact is broad and deep.The National Health, Wellness and Biodiversity Center at PS 55 will be a state of the art facility inclusive of a year round commercial indoor vertical farm and food processing/training kitchen with solar and alternative energy generators – net positive on food and energy. The first Career Technical Education Elementary School in the nation – a place of inquiry, wonder, inspiration and aspiration for students before, during and after school – as well as a dedicated Wellness and 21st Century Workforce Development Center serving the entire community open evenings, weekends and summers. This facility will also provide professional development to colleagues and serve as a teacher training center. A launching point for expansion throughout the borough, the city, the nation, and the world, Green Bronx Machine is building a one stop community wellness shop redefining the notion of high impact and high performance living, learning and earning. 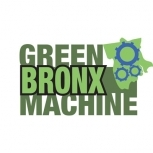 Together, we are growing something greater!More on donations:Green Bronx Machine is a federally registered and approved non-for-profit organization (501c3) with tax-exempt status. All donations are fully deductible, and we will send you a receipt for tax purposes. Grow more than food in the classroom using the Green Bronx Machine method to classroom gardens. Inspire your child's curiosity and provide active learning by growing vegetables in your home. Grow Young Minds (and a Garden)! Have fun gardening at home as a family with these awesome, easy to do garden project ideas. Make an impact! Stephen Ritz & Green Bronx Machine show how to grow more than just vegetables with your urban community garden. Make an impact in your classroom! Help your students plant the seeds of their future in your classroom garden.